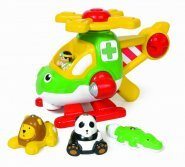 Up up & away Harry the helicopter to the rescue! 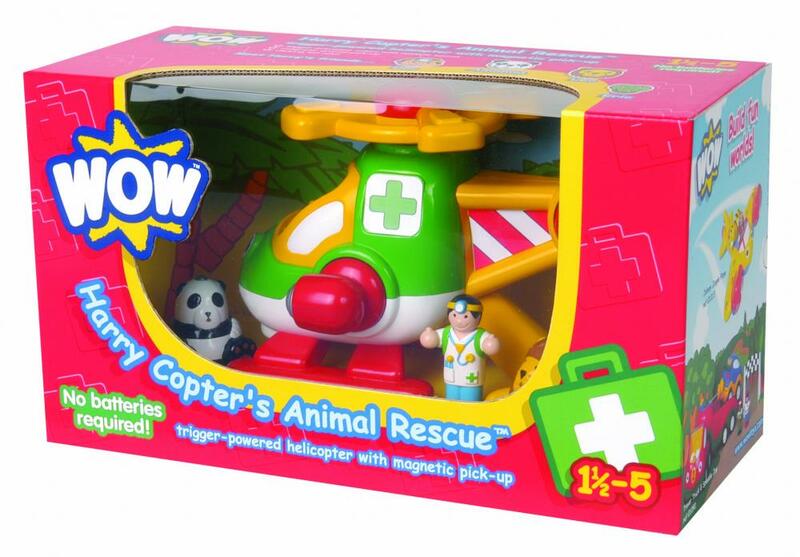 Hold his sturdy handle & squeeze the trigger to activate his friction-powered main rotor then pick-up the injured animals with his magnetic lift & drop them off safely by turning the searchlight. He’s also got a clicking tail rotor! 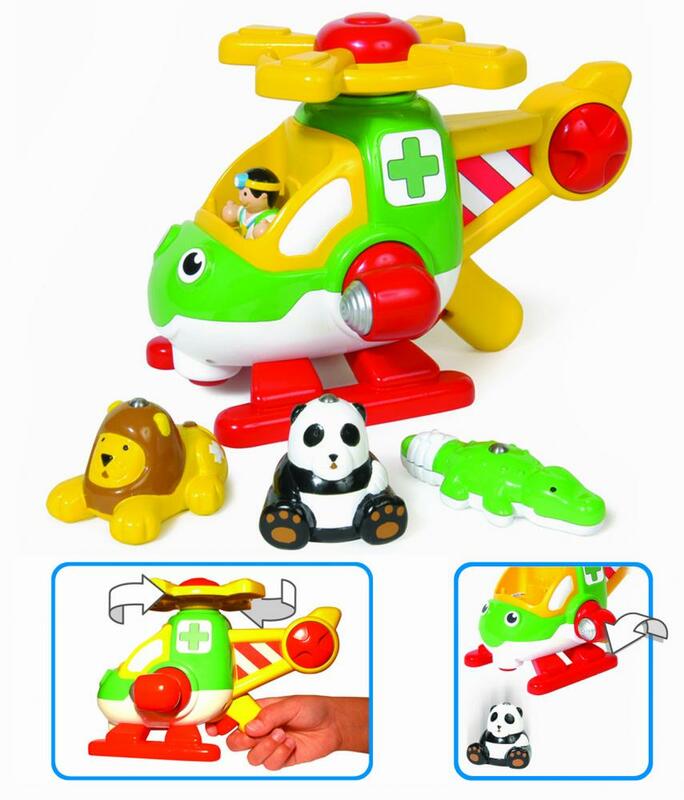 A flying vet figure & a panda lion & crocodile complete this wonderful play set. Features: Trigger activated friction-powered rotor blades with realistic sound Magnetic rescue winch to pick up injured animals Twisting search light automatically releases animals from magnet Clicking tail rotor. 5 Pieces: Medical helicopter called Harry Vet figure called Dave 3 magnetic animal figures called Amanda the panda Leo the lion & Eric the crocodile.